Powder rooms can be one of the funnest rooms in the house to decorate. They're small enough to handle bold design moves like large-scale wallpaper or a bright pop of color without becoming overpowered. Plus, they don't have many of the same technical considerations that bathrooms do because powder rooms don't fall into wet spaces category. All of this also makes powder rooms one of the best places to take a risk with a bold floor tile. There are hundreds of beautiful options on the market, but here are a few of our favorite floor tile options for the powder room. 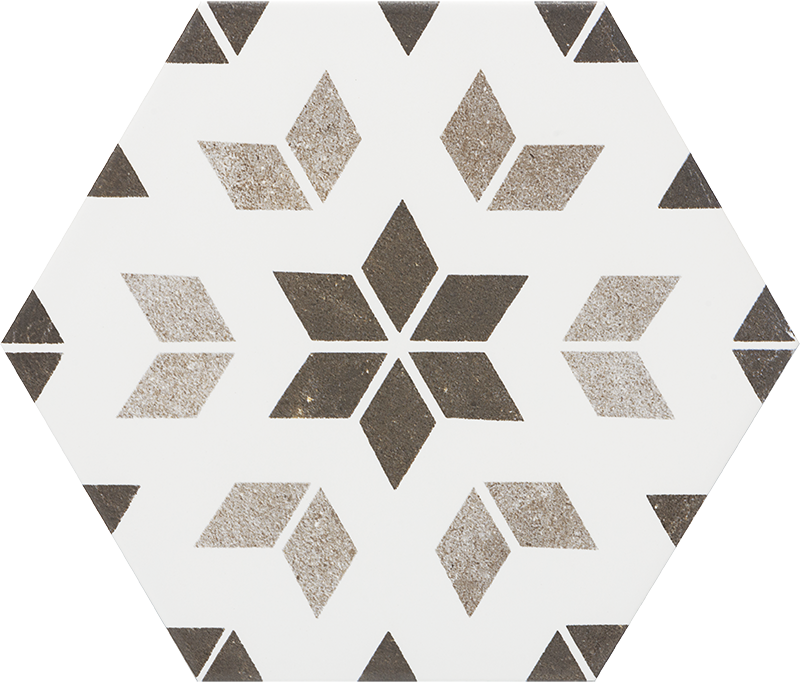 This geometric tile is a scaled-up take on classic floor tile shape, featuring nesting hexagons. If you love the effect of wood look tile, Mirage makes some of the best, mimicking reclaimed woods with beautiful detail. This is hands down one of our favorite tiles for any application, but it would be especially beautiful on the floor of a small room with the entire design converging in the middle. 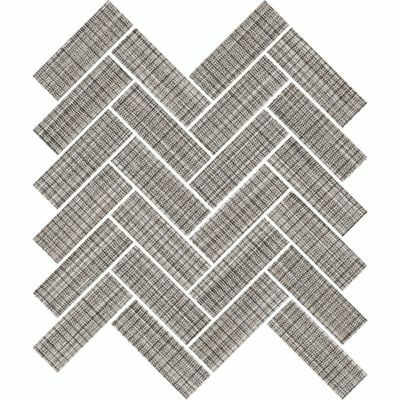 Herringbone tile is becoming ubiquitous, especially in a transitional homes, but this version by Ann Sacks still feels unique thanks to its crosshatch design. What we love most about this tile: On first glance, it looks like a large scale design, but on closer examination you realize it's actually made up of hundreds of marble mosaic pieces. The best part about this patterned tile is that it can be used solo or mixed and matched with other motifs from the same collection (see them here) to create a one-of-a-kind design. In large spaces, small scale patterns like this one can make you dizzy, but it's perfect in a petite space like the powder room. 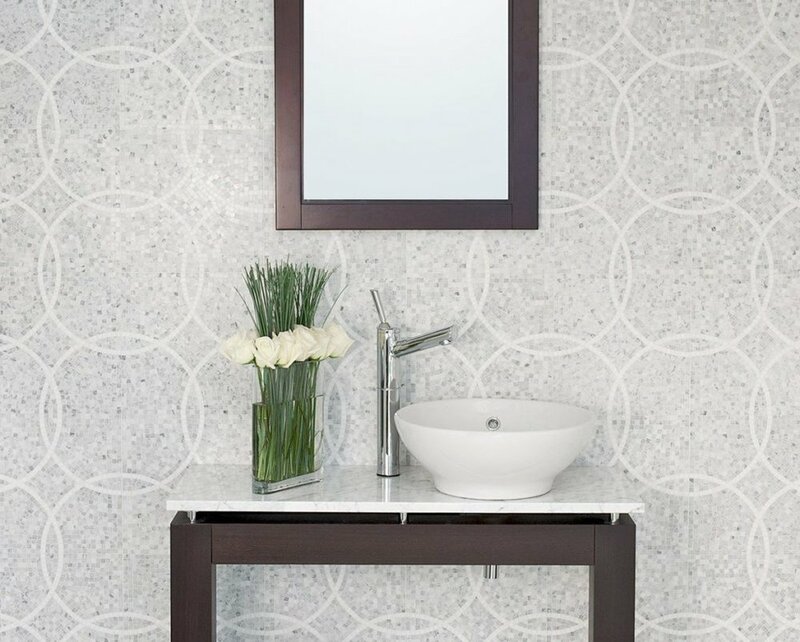 For more powder room tile options and inspiration visit Divine Design Build in Wellesley, Massachusetts, or check out our profile and portfolio on Houzz! All images via respective manufacturers.